On September 30, 1714, French philosopher and epistemologist Étienne Bonnot de Condillac was born. 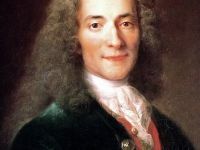 A leading advocate in France of the ideas of John Locke de Condillac further emphasized the importance of language in logical reasoning, stressing the need for a scientifically designed language and for mathematical calculation as its basis. Condillac published two main philosophical works: the Essay on the Origin of Human Knowledge of 1746, and the Treatise on Sensations of 1754, both of which were devoted to expositing his views on the role of experience in the development of our cognitive capacities. In his works La Logique (1780) and La Langue des calculs (1798), Condillac emphasized the importance of language in logical reasoning, stressing the need for a scientifically designed language and for mathematical calculation as its basis. As a philosopher, Condillac gave systematic expression to the views of John Locke, previously made fashionable in France by Voltaire. In retrospect, Condillac’s importance is both in virtue of his work as a psychologist, and his systematic establishment of Locke’s ideas in France. Like Locke, Condillac maintained an empirical sensationalism based on the principle that observations made by sense perception are the foundation for human knowledge. In the Traité des sensations, Condillac questioned Locke’s doctrine that the senses provide intuitive knowledge. He doubted, for example, that the human eye makes naturally correct judgments about the shapes, sizes, positions, and distances of objects. Examining the knowledge gained by each sense separately, he concluded that all human knowledge is transformed sensation, to the exclusion of any other principle, such as Locke’s additional principle of reflection. According to Condillac, all sensation is affective, that is, causes pain or pleasure. Sensations, consequently, are the source of all active faculties. Need, for example, is the result of the privation of some object whose presence is demanded either by nature of habit. Need, subsequently, directs all energy towards this missing object. This directionality, Condillac claimed, is what we call desire. Will is absolute desire, made vigilant by hope. 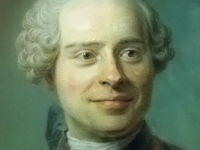 In Paris Condillac spent some years spent living the life of a man of letters in Paris and was involved with the circle of Denis Diderot, the philosopher who was co-contributor to the Encyclopédie. He developed a friendship with Jean Jacques Rousseau, which lasted in some measure to the end of his life. Together with his brother Gabriel, who became the well-known political writer known as Abbé de Mably, Condillac introduced Rousseau to an intellectual circle. Condillac’s relations with unorthodox philosophers did not injure his career. He had already published several works when the French court sent him to Parma to educate the orphan duke Prince Ferdinand of Parma, then a child of seven years. In 1768, on his return from Italy, Condillac was elected to the Académie française. Contrary to the popular idea that he attended only one meeting, he was a frequent attendee until two years before his death. Near the end of his life, Condillac turned his attention to politics and economics. 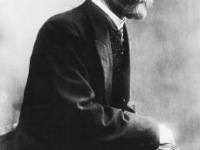 His economic views, which were presented in Le Commerce et le gouvernement, were based on the notion that value depends not on labour but rather on utility. The need for something useful, he argued, gives rise to value, while prices result from the exchange of valued items. Finding the irreligious climate of Parisian intellectual society offensive, he retired to spend his last years at Flux, near Beaugency on the Loire River. 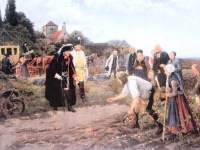 He died there on 3 August 1780. At yovisto, you can learn more about Condillac’s age of enlightenment in the talk of Gresham College Prof. Justin Champion on ‘Why the Enlightenment still matters today‘.